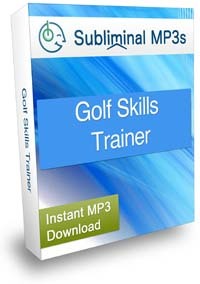 Become the best golf player you possibly can, improve your skills and boost your motivation with the help of this unique subliminal mp3 album! Do you find it hard to focus on the game? Are you mentally exhausted at the end of the round? Do you experience a lot of emotions on the course? Do you think you're performing less than you should with your physical skills? Would you like a way to naturally improve your game and motivation, so that you constantly win game after game? Golf is a specific sport - it requires you to be mentally prepared probably more than with any other sport. Physical skills are very important, but mental training is extremely important. Confidence and commitment can play positive roles in our outcomes on the golf course, or have negative impacts when they are lacking. To get the kind of confidence that will help you to develop to your fullest potential that will motivate you to win game after game, you need to be fully focused on the game and to believe in your capacity to become a great player. You need to work on yourself from the inside - when you believe that your swing will be perfect, you have much better chances of having a perfect swing. And every swing after that. That's where this album will help. 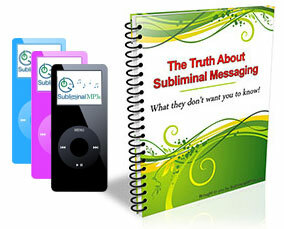 The subliminal messages that it contains are designed to improve your technique and motivation, to align the efforts you consciously make in order to become a great golf player with the subconscious belief that you can actually become one. These positive messages will enter your mind directly, creating and strengthening a new way of thinking about the game of golf and your possibilities there - positive thinking that will take you to the limits of what you thought was possible for you! This album will help you to improve your specific golf skills such as your swing, body positioning, and technique. You will become more aware of minute details and tiny errors and aim to correct them one by one. You will take a real methodological and pragmatic approach to your golf. You will start taking your training and practice seriously. You will practice harder and longer than ever before, you will be dedicated, you won't cut corners, and you will always put those extra few shots in. This will help you to improve at a faster rate. This album will also improve your level of focus generally. Not only will you be more motivated to practice, you will be more focused and have a deeper level of concentration while practicing (and of course playing) - this means that you will get even more from your practice, and develop even faster! Download this album and start developing into a great golf player today!